Keep baby and young ones supremely warm wrapped in a Swanndri soft wool blanket. Ideal for the baby buggy, in the car or portacot or as a floor rug. A great blanket for your own wee one or as a gift. Featuring the classic check design and satin binding. The work shirt, made from one hundred percent pure New Zealand wool was fabled for its durability and practicality and quickly became the choice of pioneering New Zealanders. 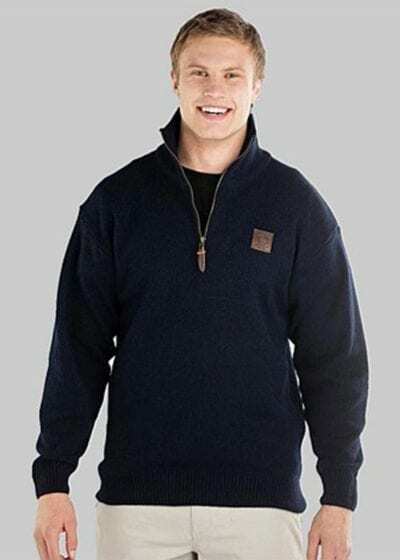 Its unsurpassed fabric keeping them warm and dry in the winter and cool in the summer.To this day the original design remains unchanged and is as relevant to today’s New Zealanders as it was almost a century ago. Swanndri use the finest New Zealand wools to weave a fabric more durable and hard wearing than any competitor has yet been able to re-create. Swanndri workwear is made tough! Merino Wool is breathable, temperature regulating, doesn’t retain odour and fire resistant. How to Measure Your Chest : Measure around the fullest part of your chest, place the measuring tape close under the arms and make sure the tape is flat across the back. OUR BUSHSHIRTS ARE OVERSIZED – (Original, Mosgiel & Ranger Styles) are generously sized to allow for the clothing worn underneath, so there is no need to allow an extra size for this. please take this into consideration when choosing your size. For the most accurate size choice, compare the “Bushshirt Chest Size” to something you currently wear. How to Measure A Garment : Measurement should be done by laying a similar style garment down flat and then measure from one armpit to the other (2cm down from the armpit seam).